With the help of the colorful animals in this book, even the youngest child will be able to grasp the idea of ratio and relative size. The opening illustration shows an elephant, followed by a simple phrase "1 polar bear is smaller than an elephant." 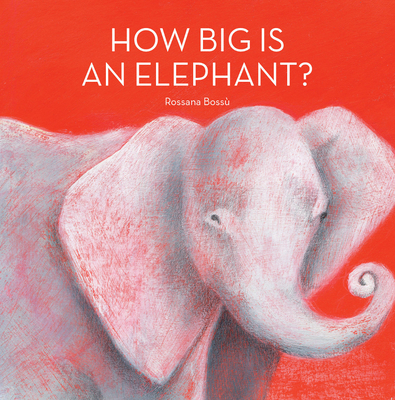 An illustration of an elephant, rather than the word, challenges young children to recall the name of the animal. Then, on the facing page, an illustration shows how many polar bears would make up one elephant. It's seven Subsequent spreads build on this concept--turn the page and readers will discover how many lions make a polar bear, and so on. The animals become progressively smaller, until the last comparison between a lemur and flea. But the book doesn't end there. Children learn that there is one animal that is bigger than them all: a whale, and that it takes all the animals in the book to make just one. Preschoolers will enjoy this fresh approach that teaches them the names of animals as well as the concept of relative size.